If you are planning to stay in our area for years to come, it is a really smart idea to make sure you find a really good HVAC company. We have been in business for 20 years and think we we are one of the best HVAC companies that you are going to find. HVAC is something that we have been doing for years and know exactly what it takes to make sure that you are all ready to go. 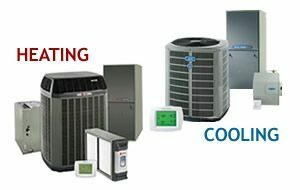 Heating and cooling are a really important part of everyone’s home and that is why we have worked on our response time.We are really good at repairing your air conditioners. We make sure that we come as soon as you call us. These problems can get worse and worse if you don’t come to us in time. We need as much time as possible to get all of the HVAC problems that you are dealing with under control. We have the best staff to deal with heating and cooling in the area, but they still need as much time as you can give us to try and control whatever you are dealing with. The good thing about our company is that we don’t just do repairs for these types of things. We also do installations which is another huge part of our company. Regardless of what you need done we will be able to get the job done right away. There isn’t a project in this world that we can’t handle. Over the years we have been able to expand our company from a small group of about 5 people into what we like to call it an empire. The more business that we get at our company the bigger and better we are going to become. To find us, just search for Lansing HVAC near me. If you are planning to work with us we suggest that you come and check out everything we have to offer prior to hiring us. This would include our facilities, staff and equipment. The more comfortable you are with hiring our HVAC company the more smooth the whole process is going to go. We have had such great experiences lately because of this and want to continue this trend up as long as possible. We also do free estimates if you are planning to work with us as well. Everyone that works at our company is what we like to consider, an expert and because of this we have been able to help people get free advice for what they are going to expect when working with our company. Give us a call today if you are planning to or think that you are going to need our HVAC services at any point in the future. We are the top company in the area and will be worth every penny that you spend on us. Our experience has really helped us over the years and we know that it will continue to for years to come. Give us a shot and we won’t let you down. HVAC is what we are best at. You’ll regret waiting until the dog days of summer or the dead of the winter season to discover that your cooling and heating system needs repair work. Instead, you need to schedule regular maintenance check-ups each fall and spring. Spring and fall are many people’s favorite seasons and for good reasons. As spring approaches, who isn’t happy to load the parkas away for a couple of months? After winter’s tedious dull deadness, you’re specific to welcome the colorful disturbances brought by the fresh green colors of life. Each year, you enjoy that moment when the sun kisses your arms with the very first natural heat you have actually felt for months. For all your appreciating, though, you know the novelty of heat will soon subside: Summer is coming. The humidity will end up being suppressing, making you feel wearisome, lethargic. You wish to go inside where it’s cool and you can catch your breath. Picture going inside to what you hoped would be an air-conditioned paradise, just to find your indoor oasis almost as clammy and sweltering as your back porch! You may call your HVAC AC repair guy, just to discover he’s all reserved up till next Tuesday. Clearly, waiting until the canine days of summer is not the time to have your cooling system checked. Rather, you need to arrange a heating and cooling checkup in the spring. When it’s time to reset your clock, simply remember that it’s time to call your HVAC specialist, too. What will he do? He’ll perform general upkeep on your heating and cooling system. He’ll most likely take a look at electrical connections, oil some parts, watch out for a plugged drain, and make certain all the controls are working. For your cooling system, in particular, he’ll likely clean the cooling coils as well as the elements of your blower. Your service technician will likewise check and potentially adjust your Air Conditioning’s refrigerant level. As soon as you have this done, your system will be ready for the summer heat. Obviously, ultimately, the long-sought summer season will have overstayed its welcome. You’ll then find your reprieve in the crisp, cool fall breezes tousling your tresses. Your summertime duds returned to storage, you’ll be cozy in your warm wool sweatshirt as you watch out at the variegated tree zone in a wistful reverie. Quickly, though, that rejuvenating fall breeze will rely on howling winds that carry with it icy rain. Just as the storm is at its peak, the pet dog will beg you to go out. In only moments, you’ll perspire and cold and bad-tempered, desiring only the reprieve of heat inside. Will you be disappointed? That depends: Did you remember to have your heating unit tuned up in the fall? You really shouldn’t wait up until the dead of winter. Rather, you should call your HEATING AND COOLING professional in the fall to get your system took a look at, for a second time, each year. In addition to the very same basic upkeep performed on your cooling and heating system in the spring, he will inspect heating-specific concerns like your gas pressure, burner, and heat exchanger. He’ll likewise check gas or oil connections to make sure they aren’t fired hazards. These concerns associate with both efficiency and safety. He’ll probably likewise advise that you tidy or alter your air filters every month if you don’t already. So next time you reset your clocks to “spring ahead” or to “fall back,” you need to likewise make a note to contact us to your neighborhood cooling and heating person.